A Charleston native, Stephen Jenkins Bell joined Duffy & Young in 2015 after working as an associate with a large regional firm in Raleigh, North Carolina. Stephen has litigation experience in state and federal courts and administrative bodies in South Carolina and North Carolina. 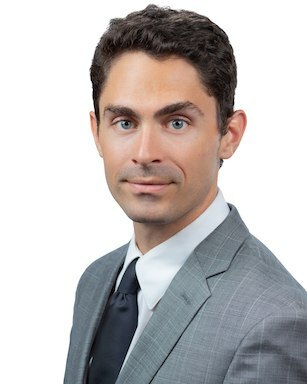 His work includes commercial litigation, class action cases, securities litigation, real property disputes, estate litigation, legislative advice, administrative permitting and regulation, and financial industry litigation. Stephen was selected as a South Carolina Super Lawyers’ Rising Star, a distinction reserved for 2.5% of attorneys practicing across the state. Stephen was admitted to the South Carolina bar in 2014, having first entered the North Carolina bar in 2012. He is admitted to practice before all U.S. District Courts in South Carolina and North Carolina and is a member of the Bar Associations of South Carolina, North Carolina, and Charleston County. Stephen received his law degree from the Wake Forest University School of Law in 2012, where he served as Articles Editor of the Journal of Law & Policy, a taxation research assistant and an extern for a North Carolina Court of Appeals Judge. Stephen attended Clemson University for his undergraduate studies and received a degree in psychology and business. Stephen and his wife Dana, a fellow Wake Forest Law graduate, live in Mt. Pleasant, SC. We have enjoyed helping individuals and businesses through a variety of legal problems over the years. Let us know if we can help you. * Material presented on the Duffy & Young website is intended for informational purposes only. It is not intended as professional advice and should not be construed as such.